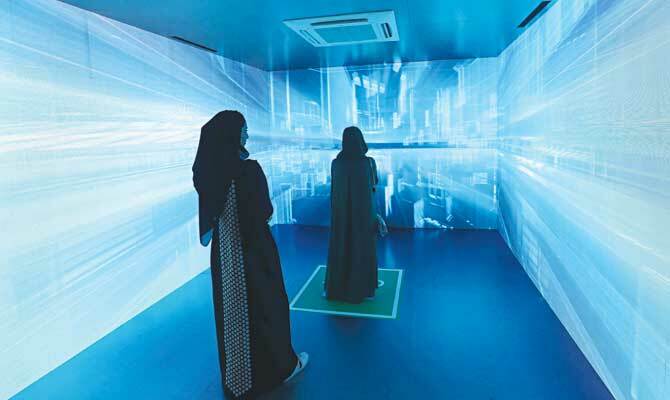 DUBAI: More and more girls in Saudi Arabia are opting for an education in science, technology, engineering and maths (STEM), and now the challenge is finding them employment, said Dr. Fatima Alakeel, a cybersecurity expert and faculty member at King Saud University (KSU) in Riyadh. “In the Kingdom, STEM-related jobs are limited at the moment, as the economy is primarily oil-based and there are few technical jobs available,” said Alakeel, who is also the founder and CEO of the non-profit Confidentiality, Integrity & Availability Group (CIAG), which focuses on information security training and research in Riyadh. According to a government report on the labor market situation in the third quarter of 2018, more than 30 percent of Saudi women aged between 15 and 65 are unemployed. Among them, the highest rate of unemployment is among 20-24-year-olds (more than 70 percent) and among 25-29-year-olds (55 percent). According to the report, there are 923,504 Saudi jobseekers, of whom 765,378 are women (82.2 percent). 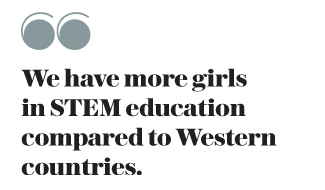 “We have more girls in STEM education compared to Western countries,” said Alakeel, who completed her doctoral degree in computer science in the UK at the University of Southampton in 2017. According to a report prepared by the Saudi Education Ministry, girls accounted for 57 percent of undergraduates for the year 2015-2016 in the Kingdom. That same year, women outnumbered men in graduating with a bachelors in biology, information technology (IT), mathematics and statistics, and physics. 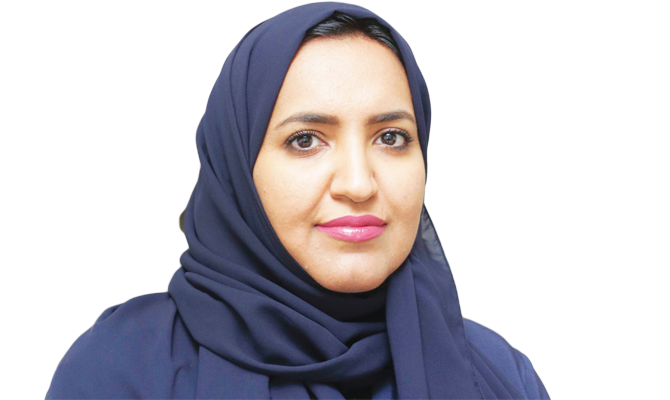 According to a survey Alakeel recently conducted on social media, “almost 80 percent of (Saudi) girls were keen to study STEM, but securing a job after the degree remains the challenge,” she said. Maha Al-Taleb, 22, graduated earlier this year with a degree in technology from KSU, specializing in IT networks and security. “Its common for girls in the Kingdom to opt for STEM education,” said Al-Taleb, who now works in a public sector company in Riyadh as a junior information security analyst. Al-Taleb got a job offer immediately after university, but realizes that not all her peers are as fortunate. Women “are facing problems in securing jobs, not because companies dont want to hire us, but because employment for Saudi youths is a major challenge,” she said. Al-Qahtani expressed confidence that the Kingdoms Vision 2030 reform plan will bring opportunities for qualified Saudis. As part of Vision 2030, the government has committed to raise employment among Saudi women. Alakeel said the government is working hard to find a solution, and it is only a matter of time until more such jobs are on offer. “As per Vision 2030, there will be more jobs, including technical jobs, available in the country. Once we have more jobs, women will eventually get their due share,” she added. According to Alakeel, female empowerment and promotion to leading roles have made huge progress in Saudi Arabia, and this may affect existing STEM job opportunities. “Were glad to see Her Royal Highness Princess Reema bint Bandar Al-Saud becoming the first female ambassador of the country. It only suggests change is on the way,” Alakeel said. Like women in any country, the transition from university to the workplace is not always easy, even for young Saudi women with technology degrees. Yet they are not losing hope.